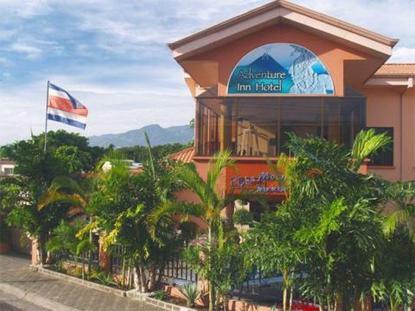 An excellent and convenient central Costa Rican location between San Jose and the airport, do not be fooled by the location of many others. We are in the scenic mountainous outskirts of San Jose, in the prestigious and safe Cariari area. Our year round spring like temperature has been touted in National Geographic as one of the best in the world. Large 4 star deluxe rooms with air conditioning and comfortable orthopedic queen size beds, a free exotic buffet breakfast, 24 hour internet, and our new Jacuzzi Waterfall Garden in the solarium. Also, free admission to the nearby private water theme park, Water Land, with pools, and slides, and so much more, bring the whole family for a day in the sun. We are within walking distance of casinos, fine dining restaurants, and the large new Caraiari Mall.